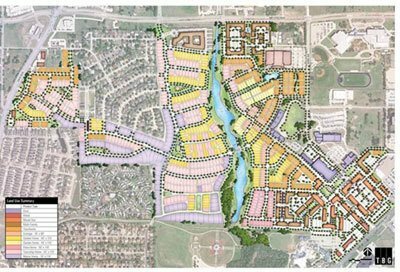 Florida-based Dolce Living Hometown purchased 10 acres in HomeTown, a 333-acre mixed-use project in North Richland Hills developed by Arcadia Realty. Dolce just completed the 315-unit Phase 1 within the Town Center of HomeTown at Boulevard 26 and Parker Boulevard. Phase 2 will have 311 units and 10k SF of commercial space. The community will include 950 single-family homes, 1,200 units of multifamily, 50k SF of retail and flex space, a North Richland Hills city library, a performing arts center, a $20M recreation center, an elementary school, and a hockey and ice skating arena. A TIF fund helped finance the project. Realty Capital Management director of sales and leasing Mark Boone repped the seller. Published on September 8th, 2016, by BISNOW.